On this date in 1964, three officers were executed in Bhutan, including former deputy commander in chief Namgyal Bahadur, for assassinating Prime Minister Jigme Dorji. 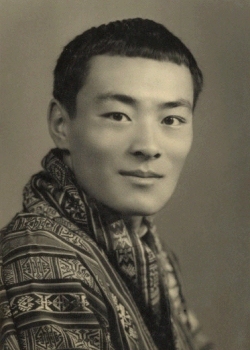 A member of the powerful Dorji family and brother-in-law to the Bhutanese king, Dorji was overseeing a modernization campaign for the insular Himalayan kingdom. On April 5, 1964, while the king was in Europe for medical treatment, Dorji was shot dead while relaxing on his veranda. No wholesale seizure of power was attempted. The entire affair has long been murky, and it seems it was murky to those involved, too. The assassin, one Zambay,* was caught within days, and he implicated a number of powerful people — including not only Namgyal Bahadur, but the king’s Tibetan mistress. She eventually fled the country, though her alleged involvement fueled rumors of a Chinese connection, or (more plausibly) of palace politics between her faction that that of the rival Dorjis. Old guard military guys versus the modernizers is another hypothetical dimension, although again the specifics (why now? what was the last straw?) are wanting. * Zambay was executed on July 4.